Nintendo of Japan has released a brand new video featuring the upcoming The Legend of Zelda: Majora's Mask 3D. 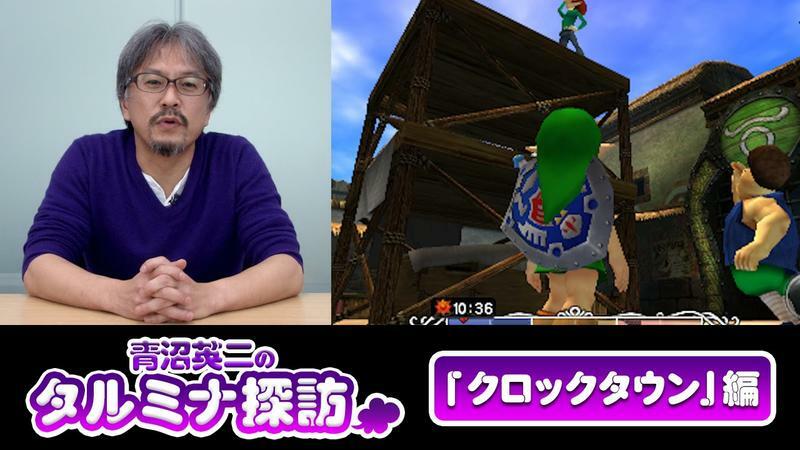 The clip checks in at nearly 17 minutes in length, and it features commentary in Japanese from series producer Eiji Aonuma. While you might not be able to understand what's being said in the clip without an understanding of the Japanese language, fans familiar with Zelda and, perhaps, Majora's Mask will catch a few details regarding the upcoming remake of Clock Town. The game itself looks fantastic, perhaps even a little more colorful than its Nintendo 64 original. Or maybe that's just years of nostalgia shading my vision of this game. I have no idea. Majora's Mask is sort of a weird thing for me. I remember when it came out following The Ocarina of Time. I specifically remember thinking the game would be a complete bust, what with Nintendo's decision to flee Hyrule for this sequel and to adopt a crazy time restraint mechanic. I wound up really enjoying this title when it first released in spite of all that, though. It's dark, it's mysterious and, as far as Zelda games go, it's a bit tougher. Will you be nabbing The Legend of Zelda: Majora's Mask 3D when it launches for the Nintendo 3DS on Feb. 13?